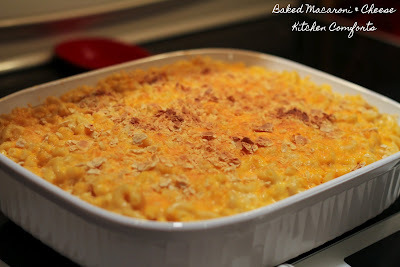 Baked Macaroni and Cheese is on my list of personal comfort foods. 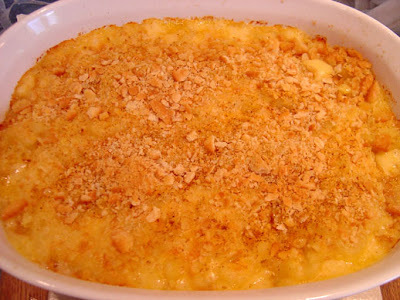 This is not the neon orange cheese food that comes in a box from Kraft (though I admit I love that as well), but rather a creamy concoction started on the stovetop, but finished to a crusty perfection in the oven. If you'd like something a little quicker you don't have to finish in the oven, but then you lose the combination of the crusty goodness along the edges and top mixed with the creaminess in the middle. 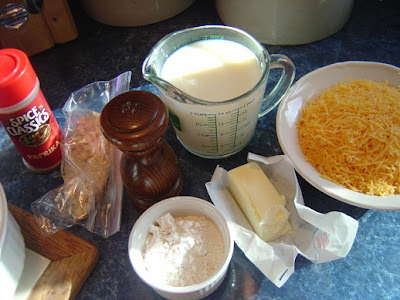 I always use finely shredded sharp cheddar, but feel free to use your cheese of choice. 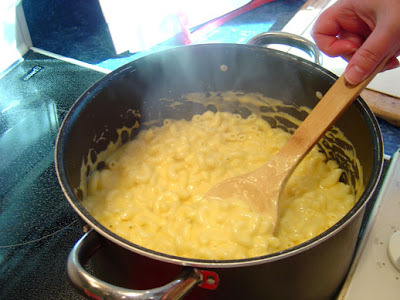 For a sharper flavor, substitute a 1/2 cup of the cheddar for a 1/2 cup of blue cheese. 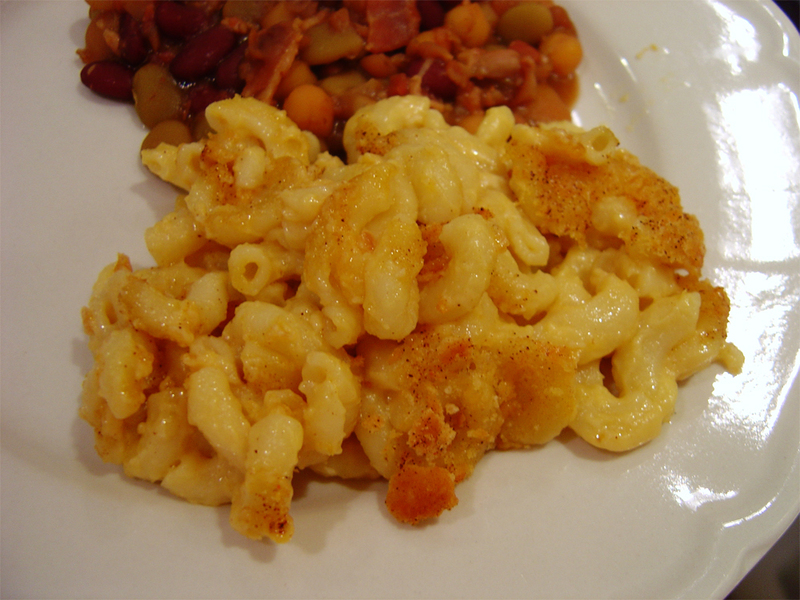 This recipe is featured in one of my favorite cookbooks, the Ultimate Southern Living Cookbook, and made with little variation it's just that good. 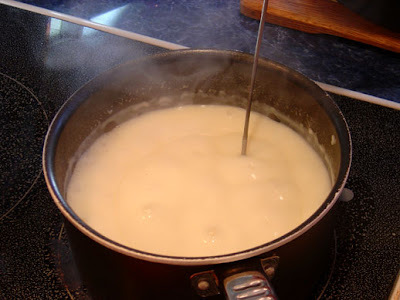 The only way to really mess this up is to use high instead of medium heat when using the saucepan. 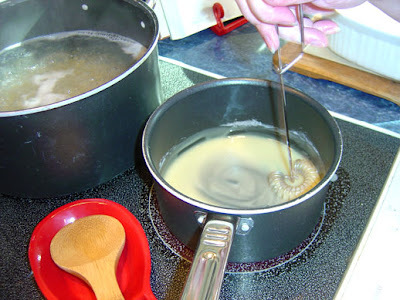 Assemble ingredients before use, this is fairly important for this recipe. If you want to skip the baking, just stir over medium heat for about 5 minutes after combining the macaroni and cheese mixture.